"CRISIS? What crisis?" asks Adrian Ash at BullionVault. That remains the view of UK households and savers towards Brexit, at least according to their low appetite for gold investing right now. 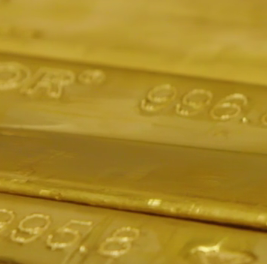 Mainland European investors, in contrast, continue building their gold bullion holdings. BullionVault just saw the largest monthly number of new first-time users from Germany in almost 6 years. Overall, Western sentiment towards investing in gold rallied sharply in March as prices fell back, with new interest among UK investors rallying by one third from its weakest levels in over a decade amid the continued political crisis over Brexit. 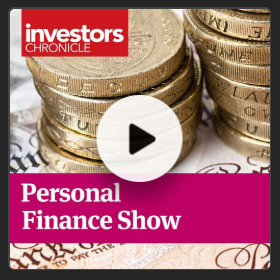 But for now this political crisis remains just that – a crisis for politicians only – judging by the wider investor apathy in the UK, choosing not to invest in gold. 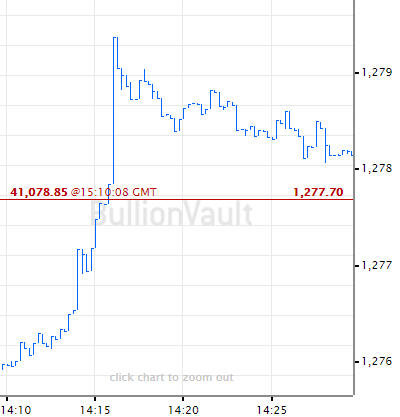 Across its global clientbase, BullionVault saw the total number of people choosing to buy gold rise 13.9% last month from February's figure, while the number of sellers sank by 34.1%. 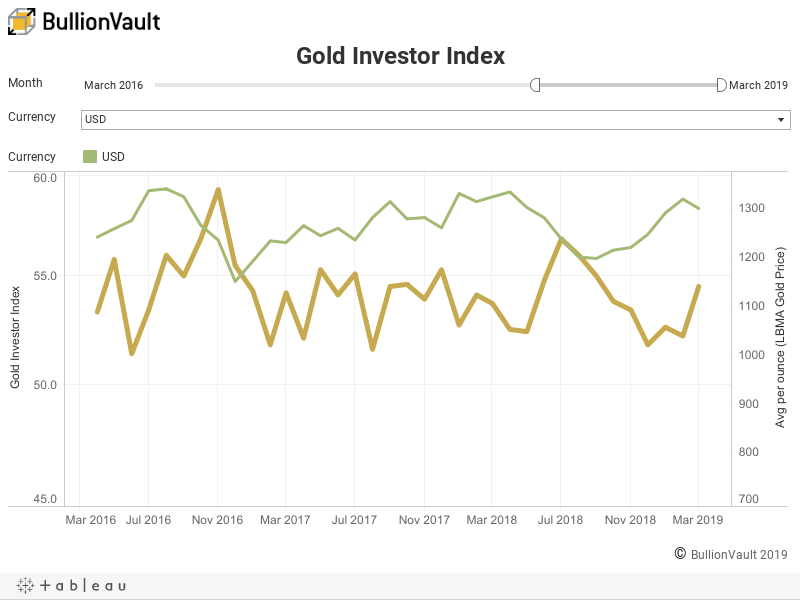 Together that pushed the Gold Investor Index – a unique measure of sentiment based solely on trading among BullionVault's 75,000 users worldwide, the largest source of any such data – up by 2.3 points to 54.5, its highest level in 6 months. A reading of 50.0 would indicate a perfect balance of net buyers and net sellers across the month. Calculated since autumn 2009, the Gold Investor Index peaked at 71.7 when gold prices hit their current all-time highs in September 2011. In terms of new investor interest in precious metals, March saw the number of first-time UK users at BullionVault rise 32.9% from February's drop to its weakest since the summer of 2007, back before the banking run on Northern Rock marked the start of the global financial crisis. But it remained 38.3% below the last 3 years' monthly average. In contrast the count of new BullionVault users across the Eurozone was 7.3% higher from its 3-year average, led by a 49.9% jump in Germany to the highest level since April 2013. In terms of all customer deposits, ready to buy bullion, the same picture. Compared to the last 3 years, the average daily inflow of British Pounds dropped by 11.7% in March, while Euro inflows rose 6.2%. Most dramatic was the split between the UK and Eurozone in terms of large deposits. Because where the number of GBP100,000 deposits fell this March by 46.3% from the previous 3 years' monthly average, the number of EUR100,000 deposits in contrast jumped by 63.4%. As a UK business BullionVault is naturally concerned that uncertainty over Brexit could damage its appeal to potential users in Europe. The fact is that Eurozone investors are actually raising their allocations to gold using BullionVault, while UK investors are holding back. Gold represents the classic crisis hedge. It has risen in 8 of the 10 years since 1970 that the FTSE All Share has lost value on a total returns basis, including each of the 5 years when equities cost investors 10% or more. But again, the rolling comedy in Westminster as to date left private investors and savers unmoved. Because if there were growing fear or panic about what Brexit may do to the nation's personal savings, it would certainly be showing as stronger demand to invest in gold. 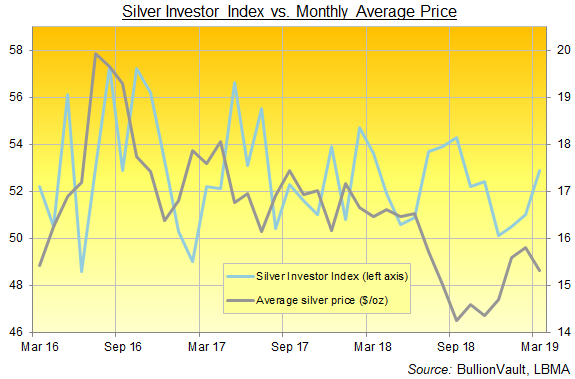 Like the Gold Investor Index, and also measuring sentiment across BullionVault's global client base, the Silver Investor Index moved above its 12-month average in March, rising from 51.0 to reach its own 6-month high of 52.9 as the metal's price fell twice as hard as gold, down 3.1% in US Dollar terms. 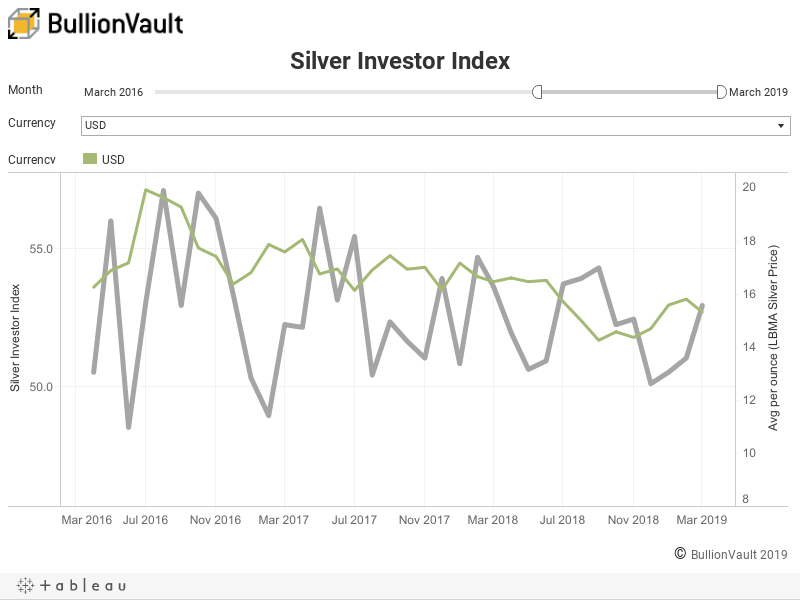 BullionVault saw the number of silver buyers rise 19.6% last month from February as the number of sellers fell 22.4%. 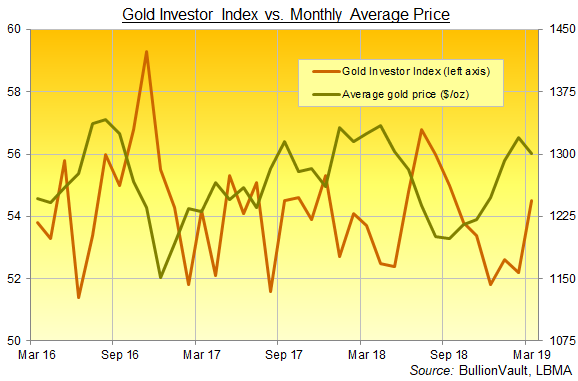 By weight meantime, both gold and silver holdings were unchanged in total last month, as investor demand matched the level of investor selling. That kept total client gold holdings at the smallest since August at 38.8 tonnes – down 1.1% from November's record high – with total silver holdings remaining at February's new record of 753.9 tonnes. March saw gold prices retreat hardest for UK investors, falling 2.7% from February's 28-month high to average £988 per ounce, the cheapest level since December. 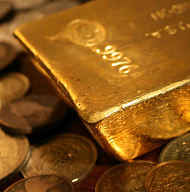 The precious metal fell 1.5% in US Dollar terms to average $1300, and it fell 1.0% against the Euro to €1151 per ounce. Again, this shows how weak UK gold investing demand looks against the backdrop of Brexit. Because lower prices, since the referendum and then the US Trump election of late 2016, have typically drawn out stronger private-investor demand in Western markets. Yet new UK interest in gold failed to bounce anything like as hard as Eurozone interest on March's pullback, despite the UK gold price in Pounds per ounce moving lower than gold priced in Euros. Silver also fell hardest last month for UK investors in March, dropping 4.3% from February's 8-month high to average £11.63 per ounce. Dollar investors saw silver retreat 3.1% to $15.32 and Euro prices fell 2.7% to €13.55 per ounce.